Paper Solutions carries a substantial inventory of all the common and popular grades and the specialty grades, to support our commitment to the Gold Coast’s Paper & Printing Industry. 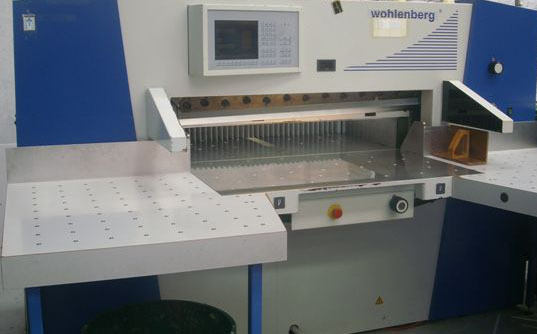 A “State of Art” Guillotine means that all products can be cut to your required size. We take pride in providing this service to you. No quantity is too small or too Big for us. Even when your quantities are small, you still enjoy the best and right prices. We will cut to Size for any grade that is not available as PrePacked A4,A3 or SRA3. Most common grades are available in Prepacked SRA3. We now carry a wide range of “Digital Papers” for the Instant Print Market (Digital Market). If you are in the Education Sector (Schools etc), we have Copy Papers in A4 & A3, Coloured Papers and Boards in all Sizes. If you are in the Hospitality and Packaging Sector, we have the Table Top Papers . We have a full range of Specialty Papers which are ideal for wedding invitations, menus, letterheads and business cards. We also look after the Paper needs of Real Estate Agents, Solicitors, Accountants and Corporate Businesses who use nice quality papers, ideal for their presentations and reports. “One Stop Shop” –If we have not got what you are looking for, we will try to find it from our various suppliers throughout Australia. We are not only limited to the products that are listed on our Range but, we can source any other stocks on request. Prices can be available on Request. We will always be happy to give you sample sheets and sample swatches to try out. The Team at Paper Solutions has many years of experience in the paper and printing industry and its applications, so you can always rely on us. You will always have a guaranteed service with a smile. We are committed to the consistency of our products and services. Being ideally located in the centre of the Gold Coast, we can easily deliver. We are well known for our “Same Day Deliveries” and we deliver to all parts of the Gold Coast from Beenleigh up to Tweeds Heads, and even Northern Rivers and the Mid Coast.